If you have a relative or someone you look after who is at risk of wandering, then a personal tracking device for the elderly is a must-have. We sell some fantastic personal tracking devices for the elderly. They are extremely popular with carers of Alzheimer’s patients or elderly relatives. 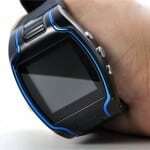 Our GPS Watch Tracking device is a 3-in-1 excellent product at a great price. It is a digital watch, two-way mobile phone (for two pre-set phone numbers) and a reliable GPS tracking device all in one. The GPS tracking device is great for the elderly – you can locate the watch by either sending a text message to it, or using our FREE online tracking system. You can also call the watch like a mini mobile phone, or send a text to activate remote listening, allowing you to listen in to the surroundings. Our personal tracking devices for the elderly also have SOS buttons for emergencies – automatically texting and calling the preset phone numbers. The Mobile Tracking Device for elderly or Alzheimer’s is a mobile phone, FM radio, flashlight and GPS tracking device all in one. It has the same excellent functionality as the GPS Watch Tracker above, but with the added benefit of being a mobile phone and FM radio. 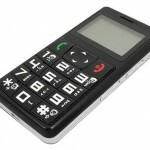 Its large buttons make it a very user-friendly mobile, and the radio is easily switched on or off with a side-switch. I ordered it from you as I appreciated the effort in creating a website that clearly describes how to get this set up and am further grateful for the very quick response in helping get this up and running fully. It’s great to see it on the map and I hope that this will enable us to keep better track of my father (who has Alzheimer’s) without unduly disturbing him. When buying a personal tracking device for the elderly, we’re first choice.